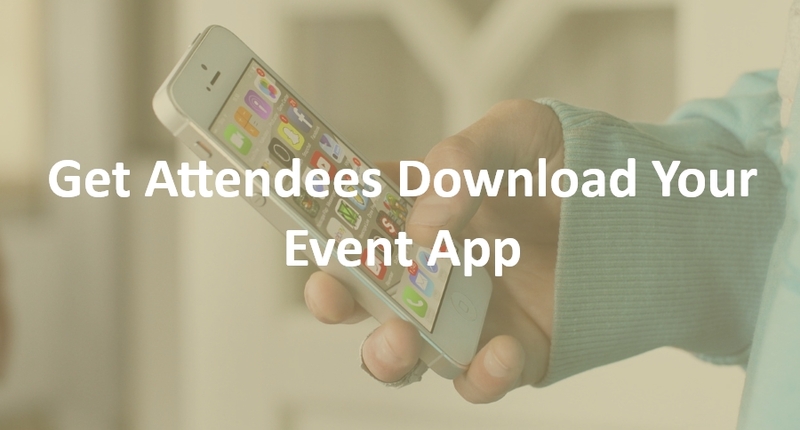 An event app plays a pivotal role. It is a one-stop solution, containing all the details about an event. Be it a conference, or a sales meeting, corporate meeting or a trade show; having an app is tech savvy, and it helps in audience engagement. An event app has a lot of benefits, as it contains all the required information like – schedule, sessions, speaker bios, location and more. But the challenge is to convince the attendees to download the event app, as many still believe in the conventional way of working it on the paper! With the boom in technology, it is essential to for the event industry in stay abreast with the latest technologies and the event app will help to optimize and simplify the process. With multiple features and various aspects, an event app adds and highlights a different dimension to a business meeting. The event app may be loaded with exciting features, but the true success is met only when more and more attendees download the event app as it helps in tracking the ROI. The primary factor of an event app is that the information is easily updated. Having an app will help the users with each and every detail regarding the event, latest information, last minute changes, updates and more. This will ensure that the users are notified with all the information through the option of push notification, and other interesting features on the app will help the attendees to be glued to the event app. 2. All roads lead to Rome! Branding and marketing the event app is an essential. Letting the attendees know about the event app is necessary. Just by prompting the users to download the app, may not make the needed impression as the importance of the app is not thoroughly explained; it is pivotal to let the attendees know about the app through all the virtual channels – SMS, Email, and on Social media handles highlighting the benefits of the app. This will create an interest amongst the attendees and will convince them to download the app. Another tactic which will help in getting more traction from attendees is by promoting the app. This at times, can get confusing, almost like an oxymoron because promotion about the app has to be done through posters and banners which is effective to grab audience attention. Apart from using the social media tools like newsletters, emails, and SMS; the app can be promoted in the conventional ways. The options are numerable, and the more enticing the offer, higher are the app downloads. It is essential to make sure that the app is available on all the platforms like – Android, iOS, and Windows. This will ensure that more people will download the app. Another bumper, which usually stops people from downloading the app is internet connectivity. Without an active internet connection, most apps are not functional. Thus, making the app functional on offline mode will also help to get more app downloads. At webMOBI, the apps are tailor-made to suit the clients’ needs. By using the latest trends and integrating more engaging features like live polling, gamification, activity feed we are certain to stay in the fad and provide end-to-end services. Thanks for some great tips! I’ll surely keep them in mind next time when I organize my college event. Hello Surabhi, thanks for sharing the info. Most of attendees like to buy their tickets from their mobile so increasing ticket sells from the mobile app is the best idea. And this blog perfect according to market scenario.